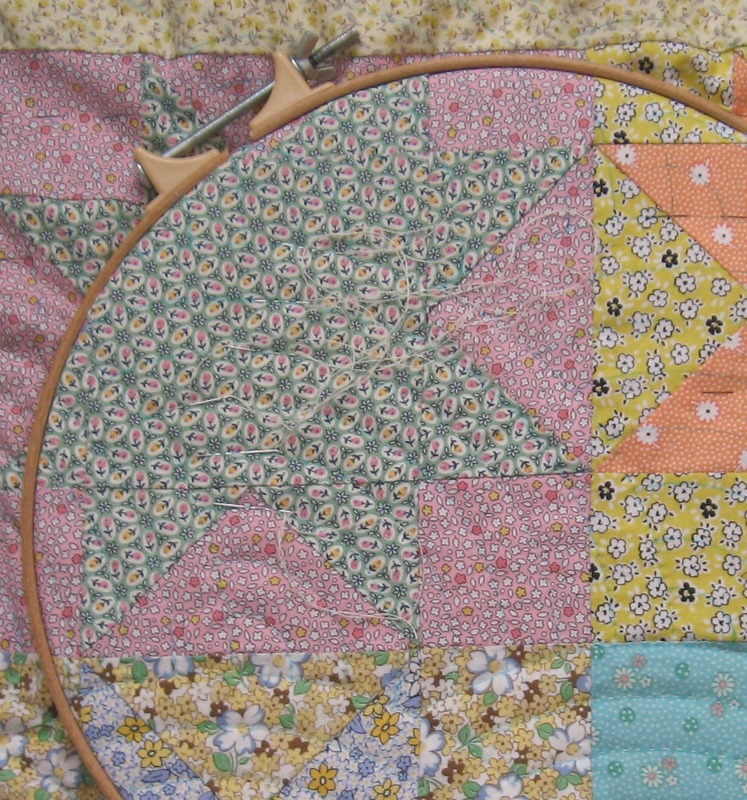 I’m currently making a patchwork quilt for Little Miss Olive of The Little Red Roaster fame. 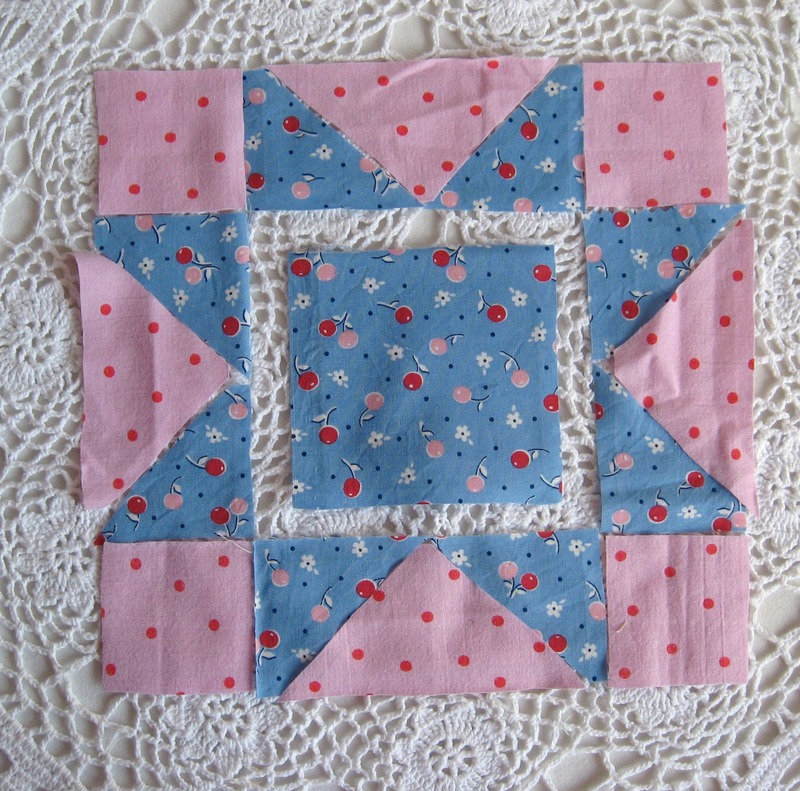 Her mum and dad have chosen a simple square patchwork made up of a selection of vintage and reproduction fabrics. 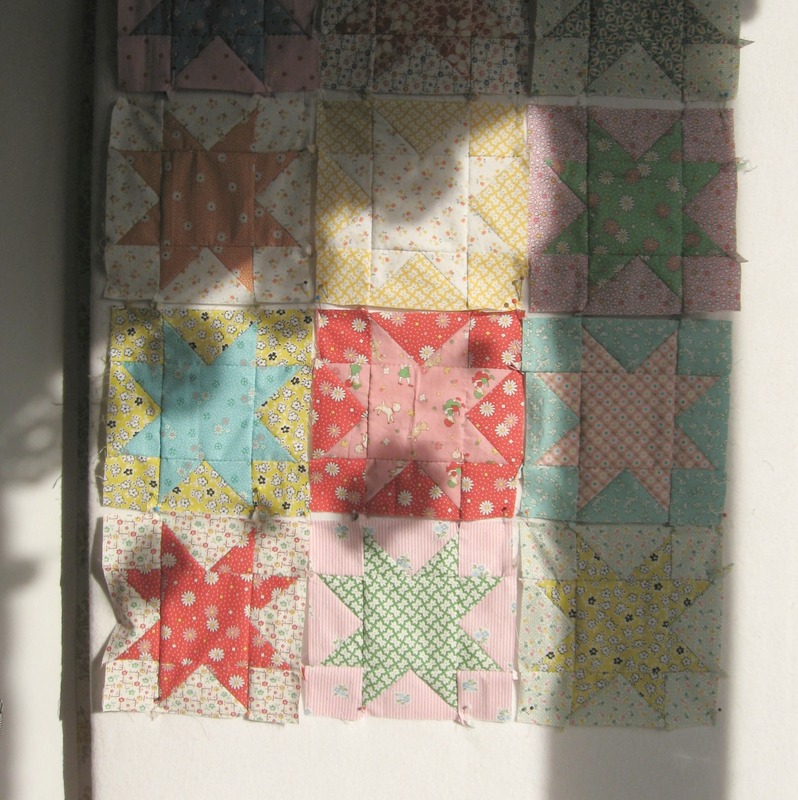 As I hand sew all my quilts I thought it would be nice to show all the stages that go into making one of my baby quilts. 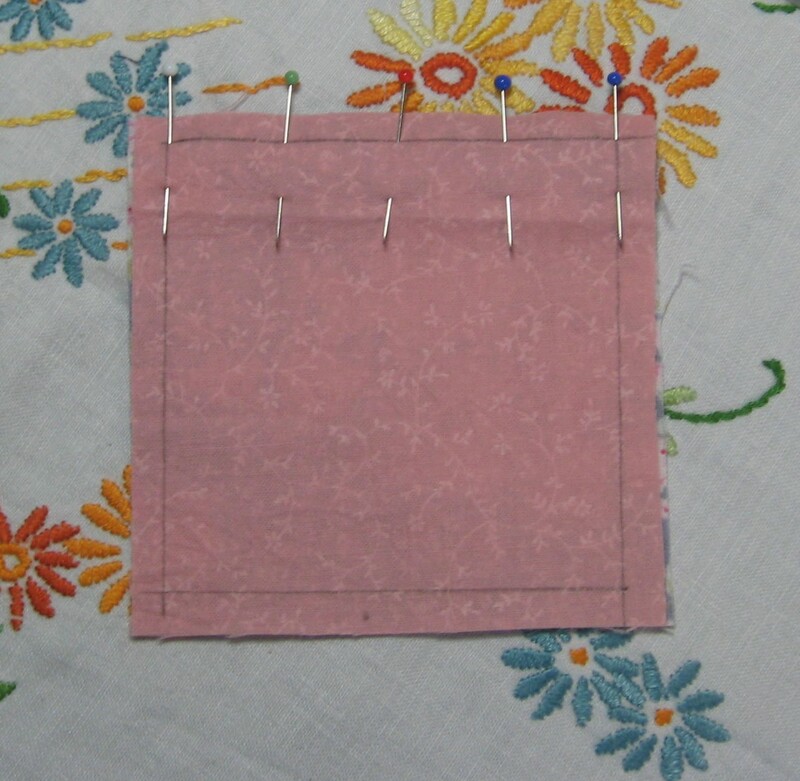 So this is sort of like a very simple tutorial in hand sewing patchwork. To start with I always hand wash my fabrics first, I know some quilters don’t, but I find some fabrics have a slight coating on them which I am more aware of when I am sewing the fabric by hand, some fabrics shrink a bit, sometimes the dye runs a little, so I find it easier to just give them all a gentle hand wash before I use them. 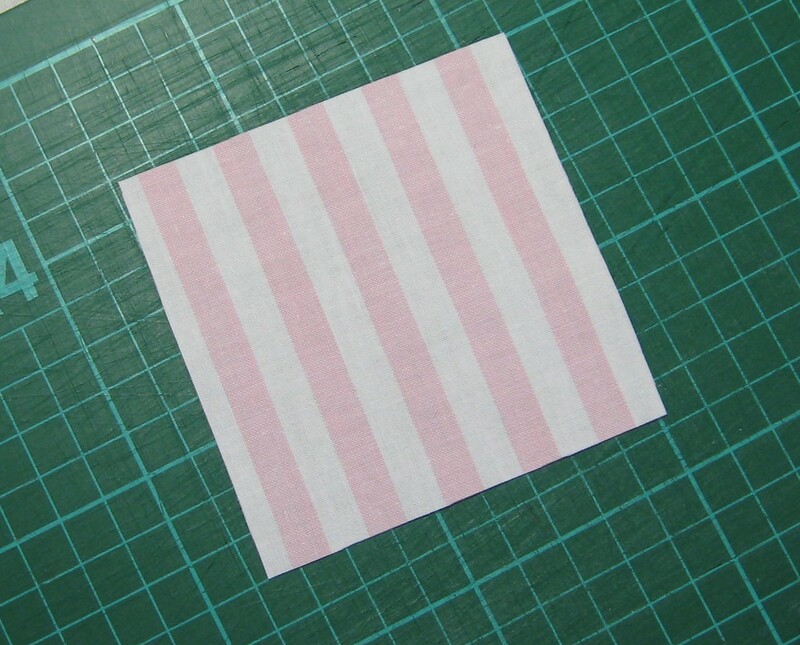 I also press the fabric before I plan to use it as it makes it easier to cut the fabric and draw round templates. 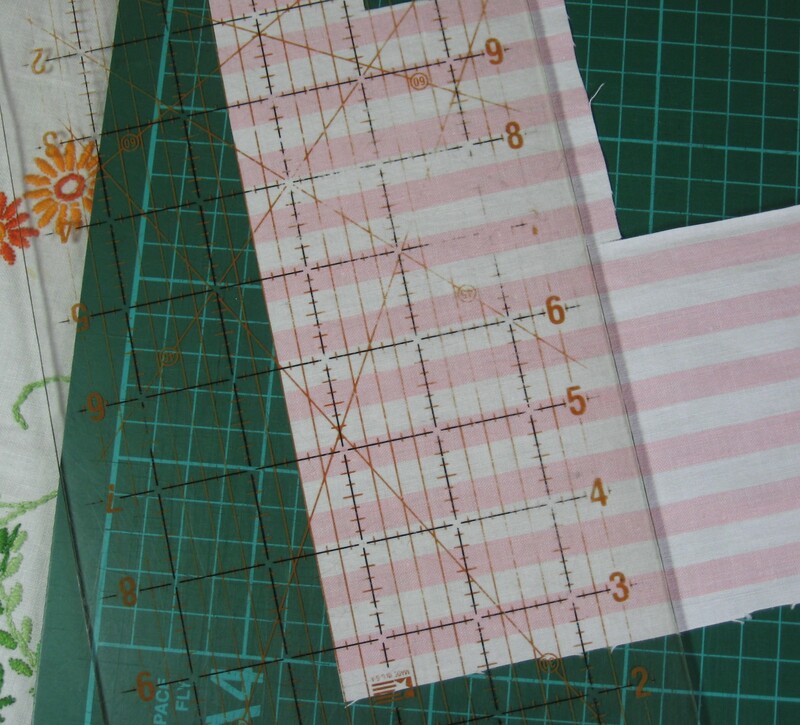 For square patchwork I like to use a cutting mat, a small plastic quilting ruler , a rotary cutter and a H.B. pencil. 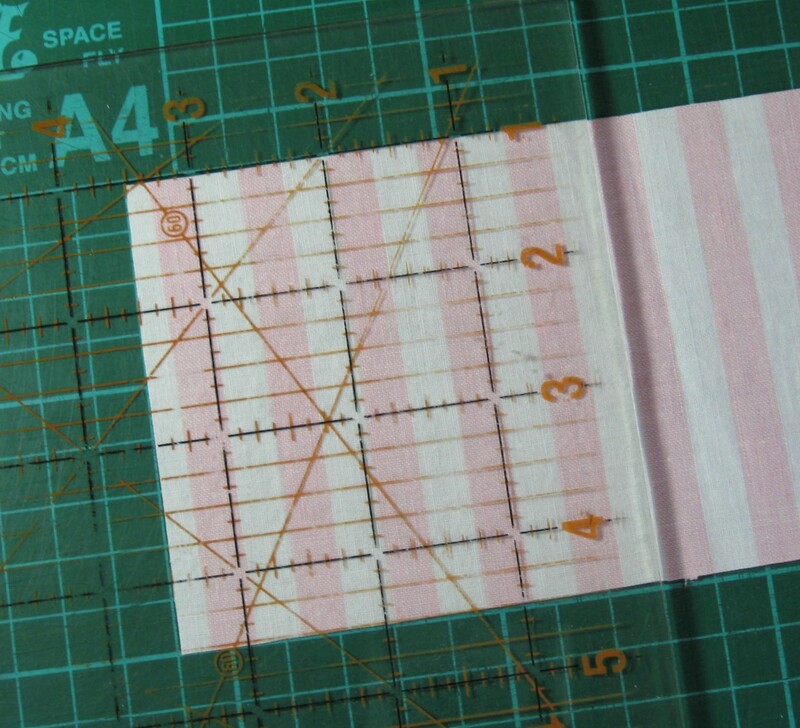 My quilting ruler is well over 10 years old and some of the outer lines have faded now but I can still just about see the measuring lines, and it works fine to cut against. 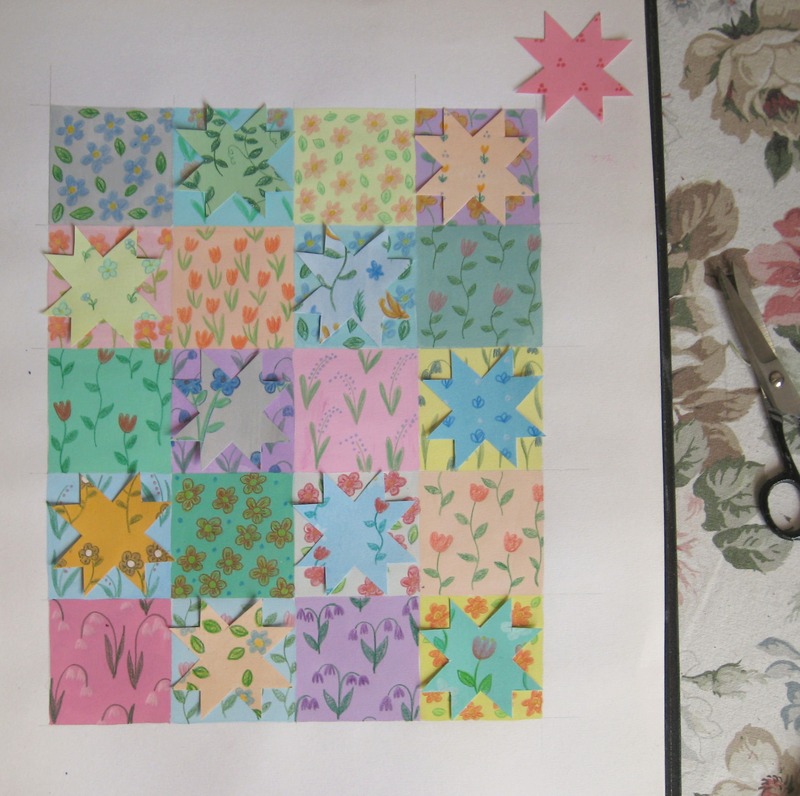 For other patchwork blocks I prefer to make templates from quilting plastic and draw each piece out separately, I appreciate this is a bit slow and isn’t everyone’s cup of tea but it the method I prefer. 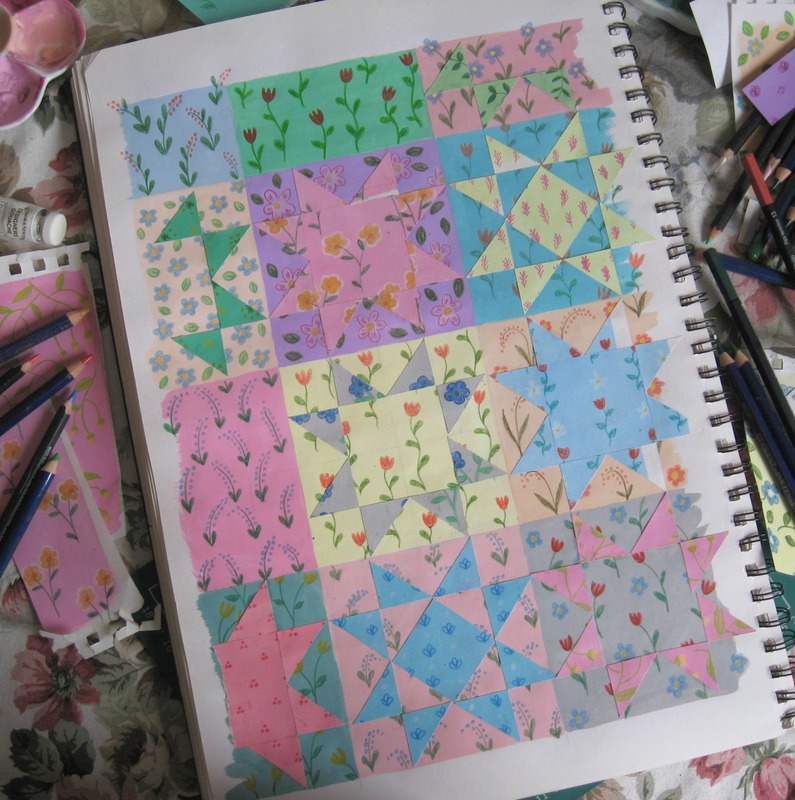 And I also like paper piecing hexagons and diamonds which again, doesn’t make a quilt over the weekend but it’s nice to do on a wet afternoon. 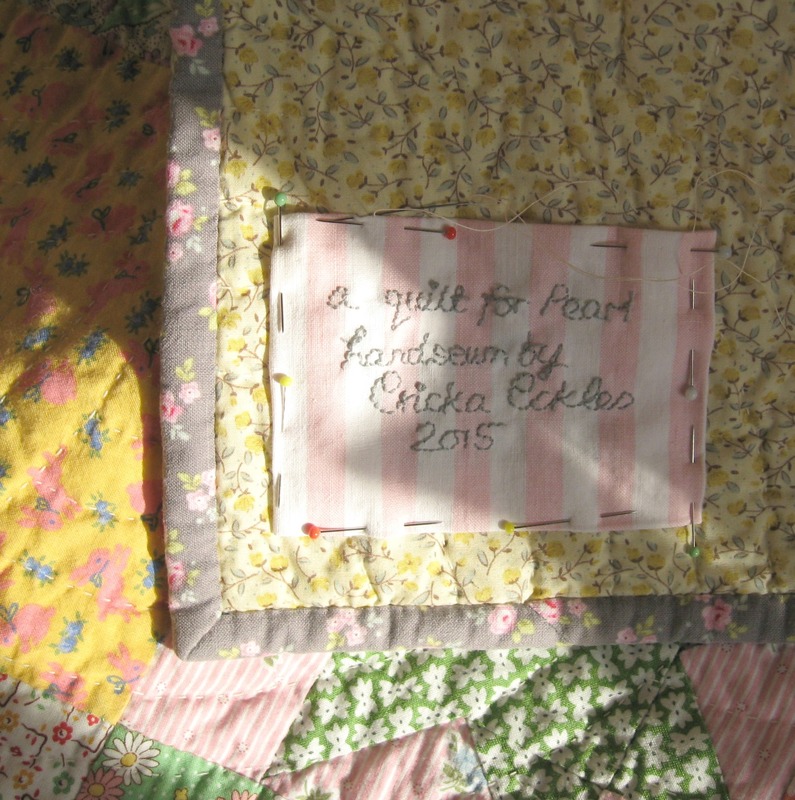 So this is where Olive’s quilt starts. 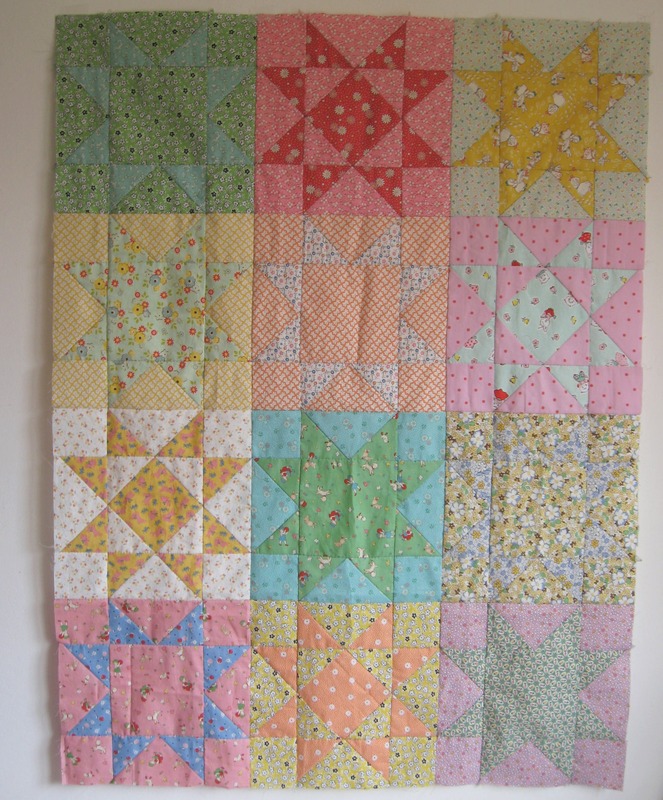 The quilt for Olive is going to be about 30 inches by 36 inches so I need to cut out 120 squares. I measure 3 1/2 inches from the side of the fabric and cut along with the rotary cutter. This gives me a strip of fabric that measures 3 1/2 inches wide. This then leaves you with a square of fabric. 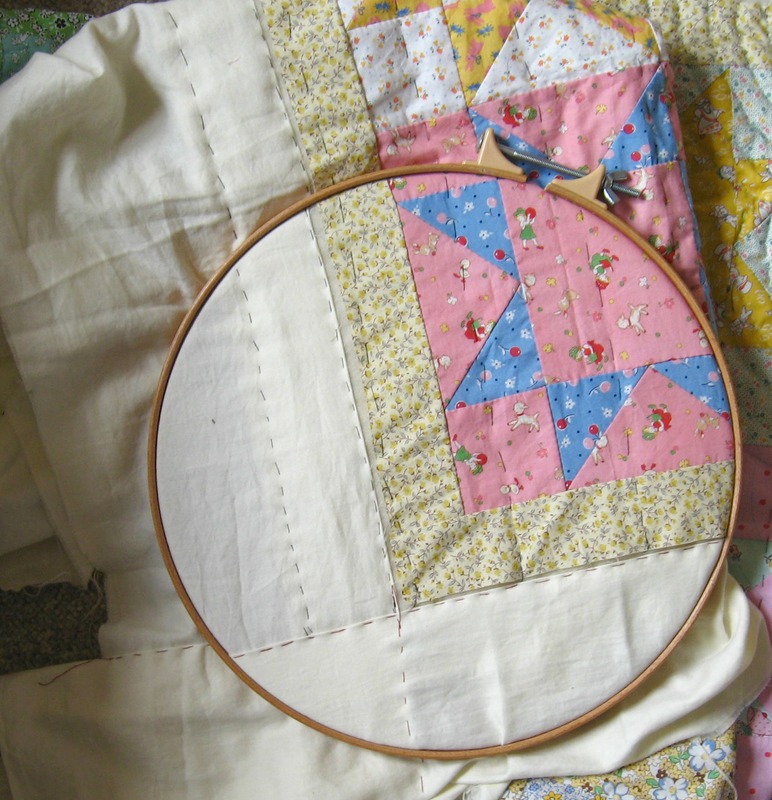 Carry on in this manner until you have enough squares for your project. They are pretty quick to cut out using a rotary cutter compared to using a pair of scissors, just make sure you are measuring accurately as it is all too easy to use the wrong measuring line…and I say this out of experience. 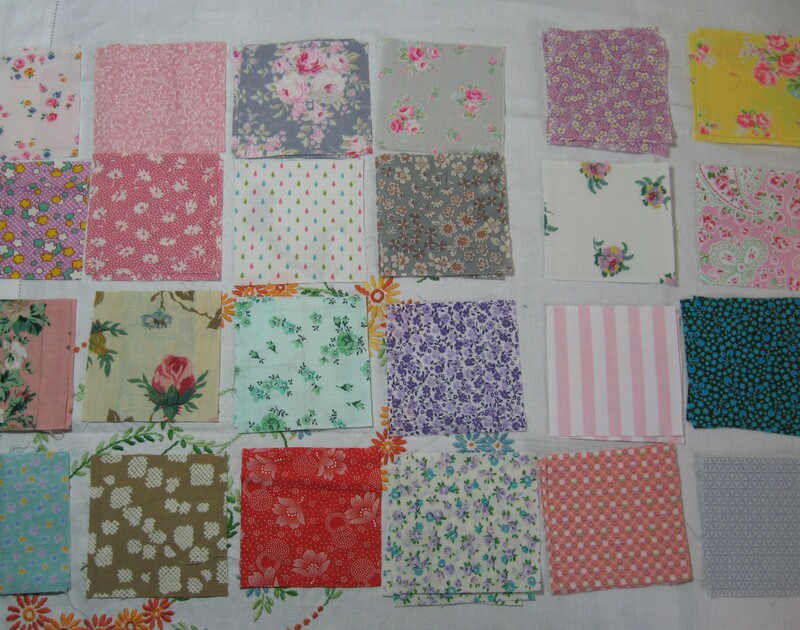 This is just a small example of the range of fabrics that will be in Olive’s quilt. 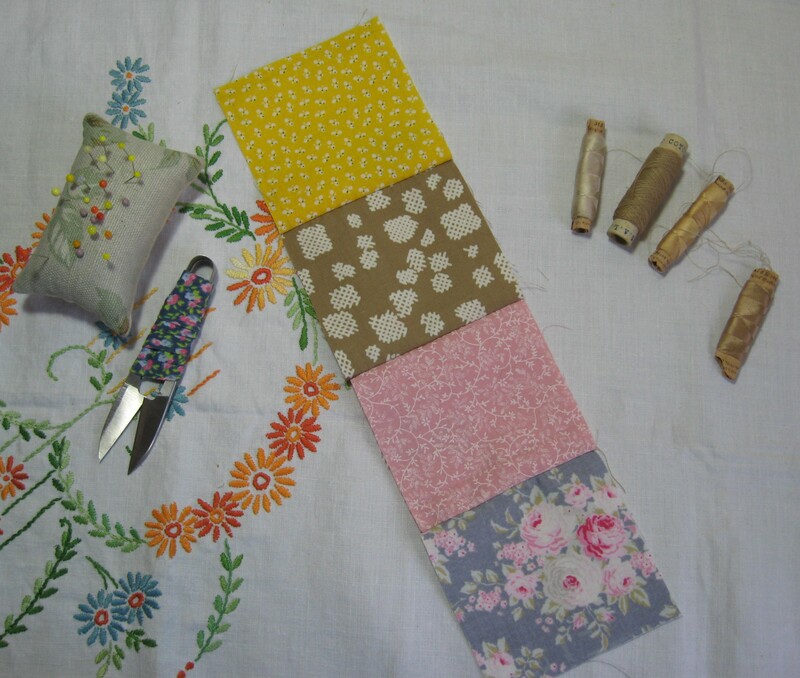 I find it is easier to make little piles of fabric so I can see which fabrics are being used at one glance, and it can also lead to some pleasing combinations of fabrics working well together which I wouldn’t have first thought. I don’t knot the thread, but instead make a couple of back-stitches at the start of my sewing and then finish off the same way. 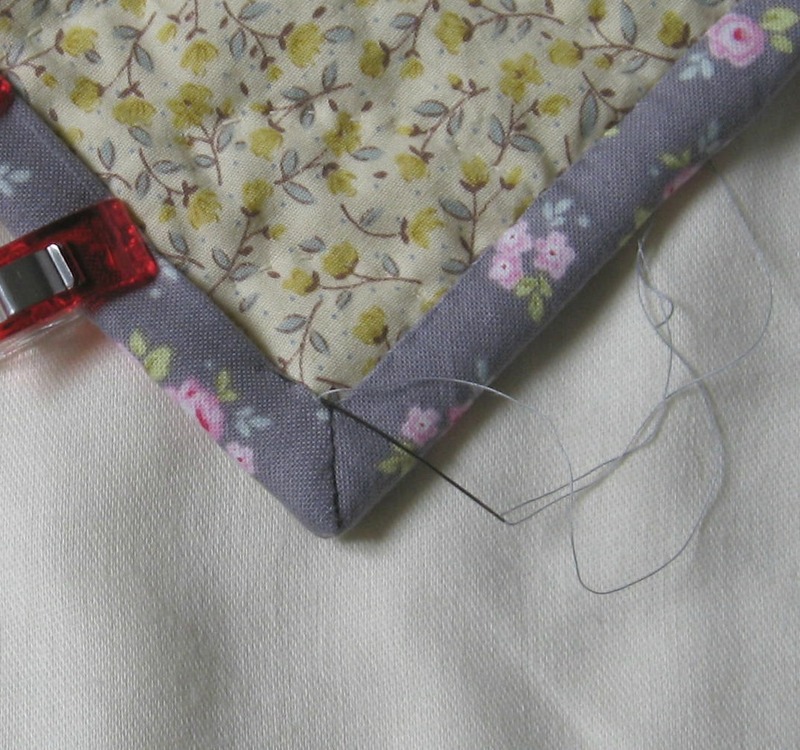 I use a small running stitch for the sewing. 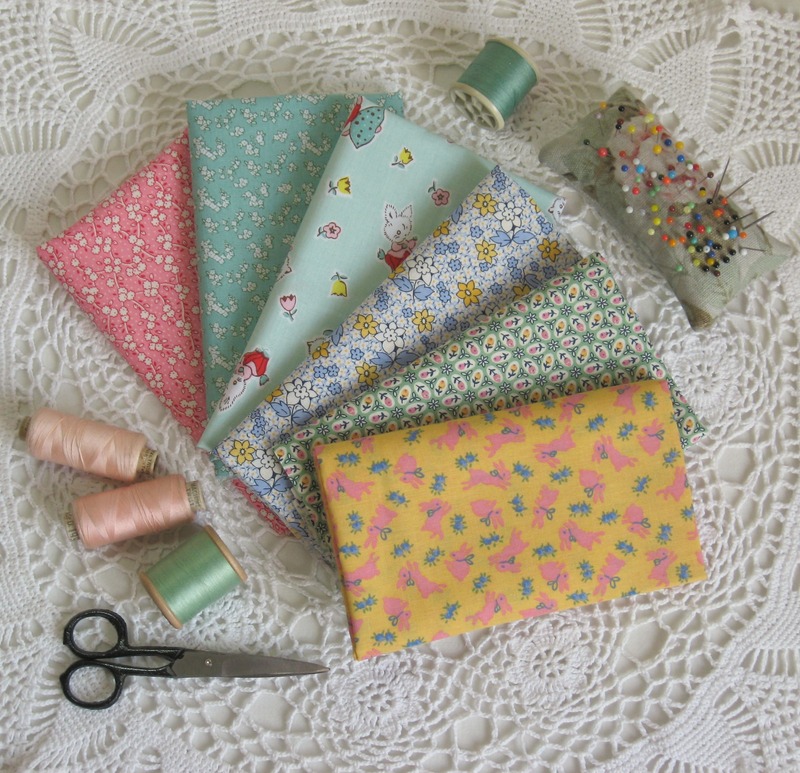 I prefer to use Clover brand applique needles to sew my patchwork together, they are super sharp needles and I find they make sewing patchwork so easy, especially when I am sewing small pieces of patchwork together. If I don’t have a Clover brand needle to hand then I just make sure I am using a “sharp” needle, these are rightly named as they are very sharp. 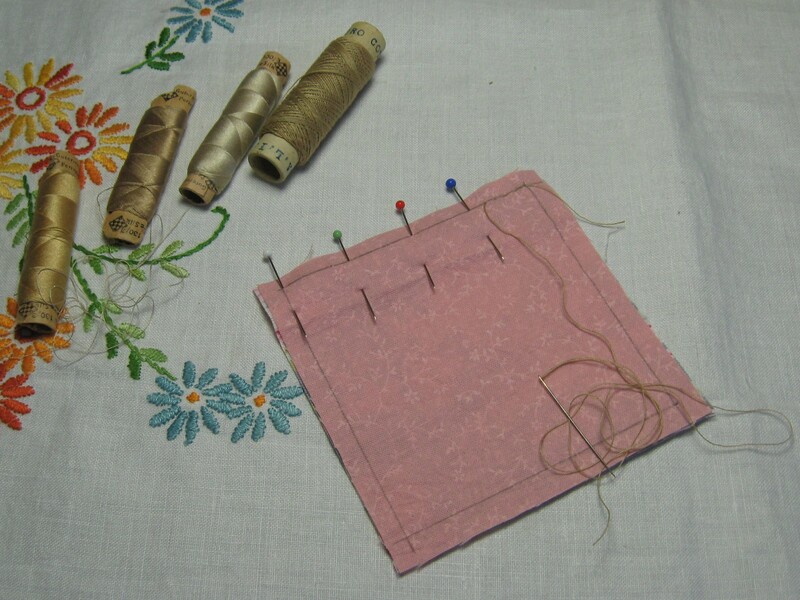 Applique needles are equally sharp and are slightly slimmer. 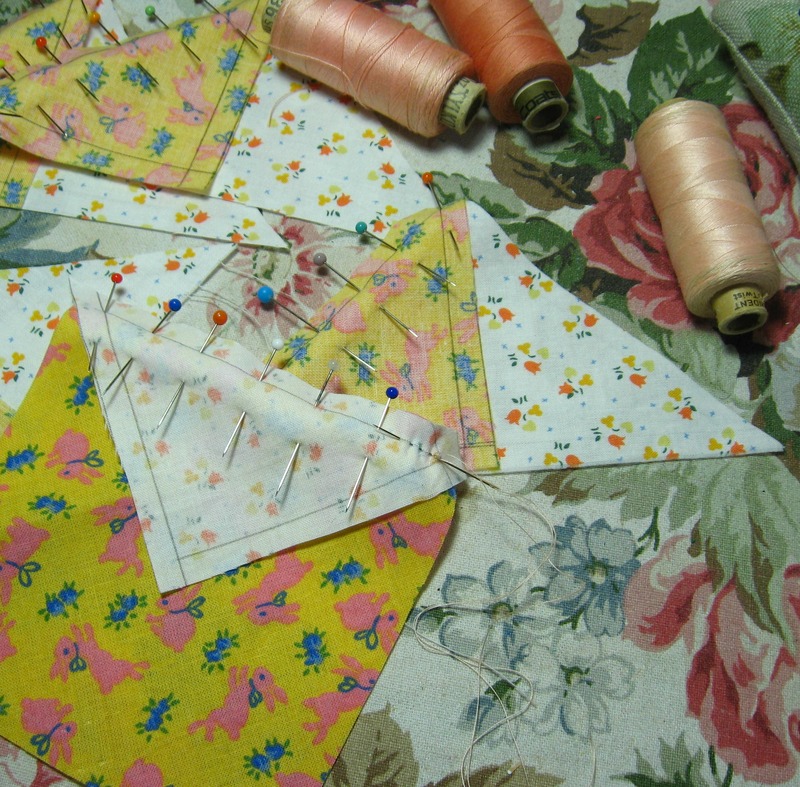 Once the pieces of patchwork are sewn together I turn the fabric over, smooth over the seams and press the seam firmly with my thumb. If you are hand sewing this seems to be strong enough to keep the seam flat. If you are sewing using a sewing machine then I would suggest using an iron as it is more important then which way your seams are facing. 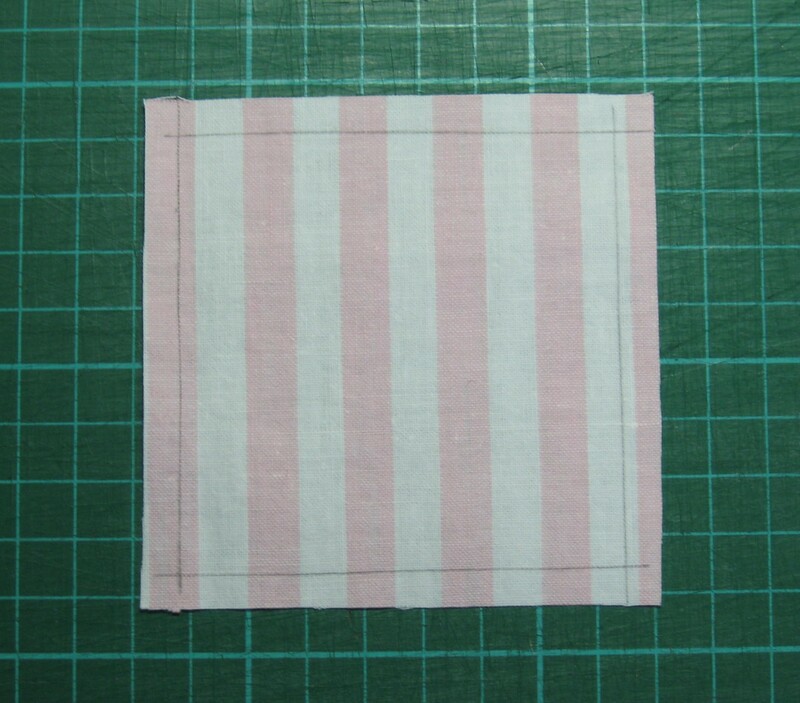 I tend to sew the patches in strips of 4 before I go on to joining them in larger squares. 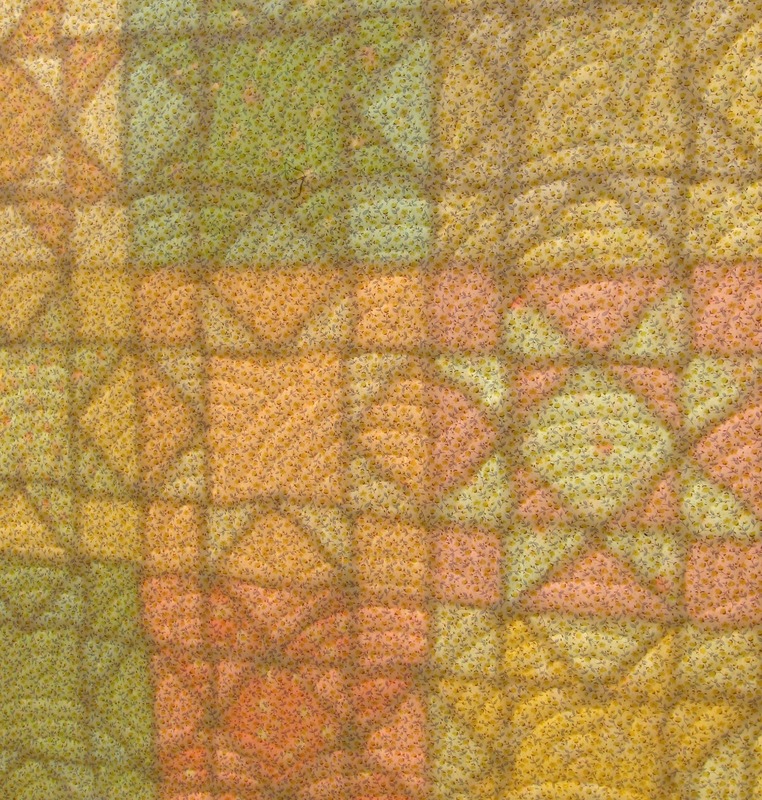 I like using thread in shades of brown as I find it blends in with the different colours of the fabric. 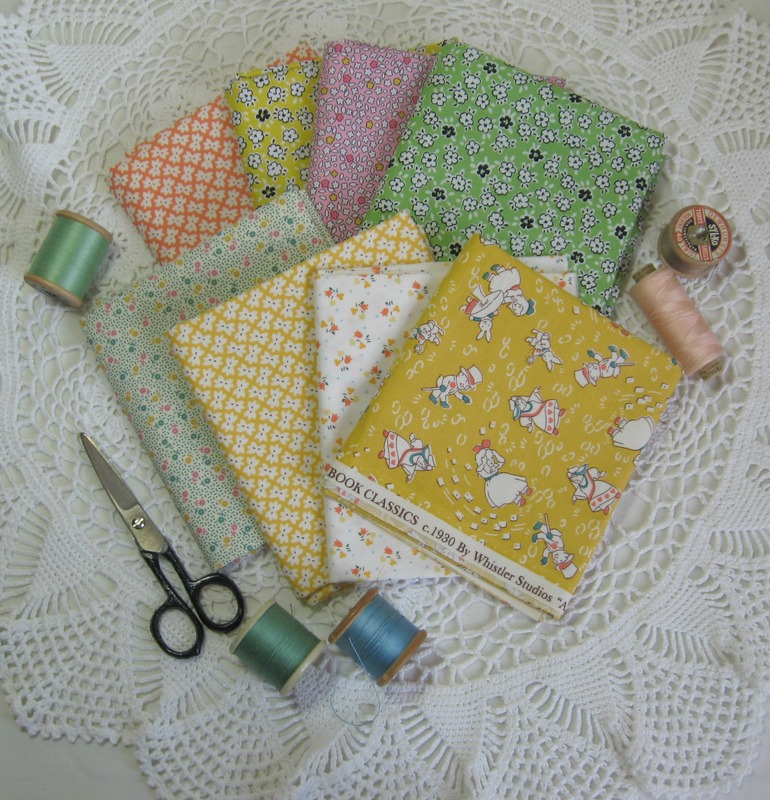 I bought some vintage Italian sewing thread in the Summer and although it is old it is nice and strong. 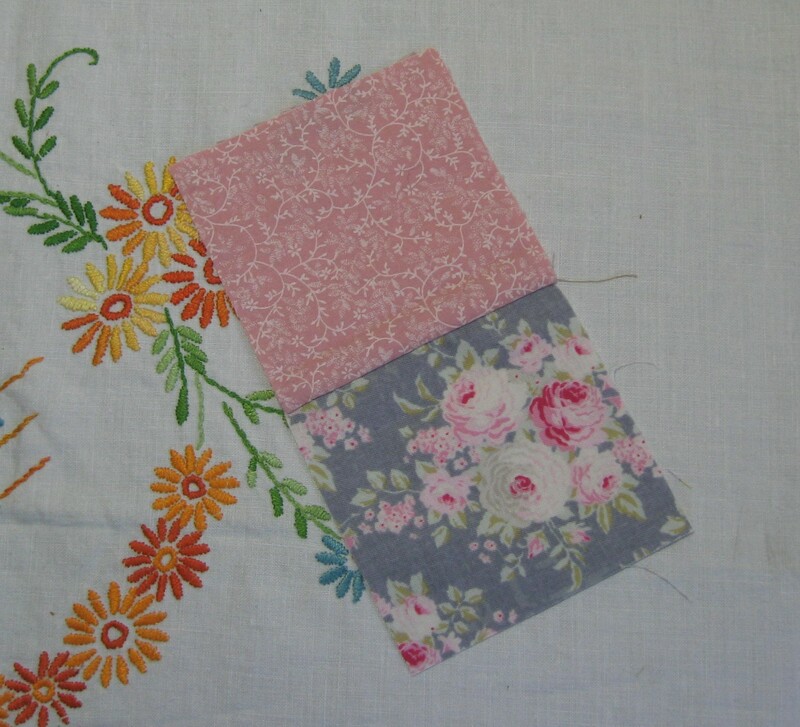 Some quilters prefer to sew their patchwork in grey as that also blends in well.